The Greatest PMs we never had? I see the BBC has another list ranking 20th century Prime Ministers, with Clement Attlee and Margaret Thatcher not surprsingly coming out on top, Neville Chamberlain and Anthony Eden at the bottom, and Tony Blair somewhere in the middle. I reckon that's probably about right, although I would rate Churchill higher than Thatcher and both James Callaghan and John Major higher than Francis Beckett does - both were dealt an impossible hand by their small parliamentary majorities. I also think he rates Harold Macmillan far too highly - the man was essentially a poseur who allowed Britain to stagnate under his seven-year leadership. Meanwhile, as my contribution to the debate, here's my list of the Top 10 20th century figures never to become Prime Minister. Or at least, in one case, not yet. Enoch Powell is of course the great enigma in my list. Had he, rather than Heath, won the Tory leadership in 1965, would "Thatcherism" have arrived 15 years earlier? Probably the country wasn't ready for it then, and might never have been ready for Enoch. But a genuinely great man nonetheless. ...was of course the title of Roy Jenkins' 1979 Dimbleby Lecture in which he first floated the possibility of the breakaway party that eventually became the SDP. Well, staying at my wife's cousin's cottage in South Normandy over the past week or so, I've been having a few home thoughts of my own. 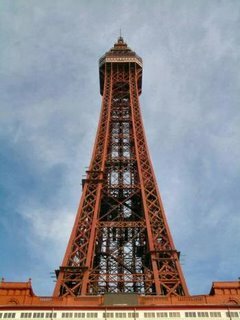 As anyone who has ever been to Northern France in August will surely know, the place is pretty well deserted at this time of year. Much of the population heads for the South at the height of summer, and over recent days we have driven through fairly sizeable villages where there is not a soul to be seen. The autoroutes are much the same. We made the journey between Calais and Rouen - a distance of 205km - in just under 1hr 40 mins, the equivalent of driving from Sheffield to the M25 in a similar time. It just couldn't be done in Britain any more, but in France, you can do it without even breaking the speed limit. The overwhelming impression - from driving anyplace or simply from looking across the fields from the garden of our cottage - is that this is a country with a lot of that precious commodity, space. You can get Radio Four longwave over here too, so we have been listening in each morning to catch up on the news from home and to express mild disappointment if not surprise that neither Prescott nor Blair have resigned yet. In fact all the stories in our first week over here were about something else entirely - the influx of Eastern European immigrants into the UK, and Ruth Kelly's big speech, echoing john Reid, echoing Michael Howard, confirming that it is no longer "racist" to want to have a debate about immigration. Personally, I think the Government has been pretty shameless in reaching this position, giving its denigration of Howard over the immigration issue during last year's election campaign, but nevertheless, it is the right one. The debate about how many more people we should allow into the UK is no longer about race. It is about infrastructure, about space. We are an overcrowded island. I have, increasingly, come to the reluctant conclusion that continued large scale inward migration into Britain, which may be desirable for all sorts of social, cultural and economic reasons, can only be achieved at further massive cost to our environment, to those remnants of rural life that remain. Doubtless in some eyes to express sentiments such as these will make me a reactionary old Tory, one of those misty-eyed Daily Telegraph readers who wish the country was still as it was during the 1950s. But what you get when you come to France - with a similar population to the UK's, but about four times the area - is a glimpse of a rural idyll of a much older vintage, the lost England of Thomas Hardy, of Laurie Lee's Cider with Rosie before the coming of the roads. Is it so very wrong to want to preserve at least some of that back home? As I said in Friday's post on David Cameron's latest attempt to solve the West Lothian Question, last week's Tory aims and values statement was high on woffle and low on specifics. Despite that, and the ongoing internal difficulties over candidate selection, however, it is clear that the Conservatives go into next month's party conference season in far better shape than their opponents. Unlike both Sir Menzies Campbell and Tony Blair, Cameron can go to his conference knowing there is absolutely no threat to his leadership. More on this theme in weekly podcast which is available HERE. Well, that's about it from me for a few days. I'm taking my customary late-summer break to recharge my batteries ahead of what seems certain to be an exciting party conference season. Bloggage will be lighter than usual over the next week or so, but I expect I will be checking in from time to time. Meanwhile - I'm off for a much-needed beer! A current post on Labour Home features a "Fantasy Cabinet" with John McDonnell as PM, Bob Marshall Andrews as Home Secretary and Dianne Abbott as Health Secretary, among other things. This will, of course, remain exactly that - a Fantasy Cabinet, though for most of us, I expect it is more the stuff of nightmares. Meanwhile, what of the more realistic alternatives? Well, for what it's worth, here's my suggestion for a balanced Labour team to fight the next election, providing a blend of youth and experience, male and female, Blairite, Brownite, and independent left. Readers are of very welcome to suggest their own line-ups! Out go: Tony Blair, John Prescott, Margaret Beckett, Charlie Falconer, Patricia Hewitt, Tessa Jowell, Hilary Armstrong and Valerie Amos. On page nine of his latest Statement of Aims and Values, David Cameron promises that his party will "strengthen the United Kingdom by providing a constructive Unionist response to the West Lothian Question." If this strikes you as woffle, you shouldn't be too surprised, given Cameron's previous policy statement promising that a Tory Government would be in favour of "a strong economy" and "representing modern Britain." There are in fact only two "constructive Unionist responses" to the West Lothian Question. One is to abolish the Scottish Parliament and Welsh Assembly and return all decision-making to a unitary UK Parliament. The other is to create an English Parliament with equivalent powers to the other two devolved institutions. 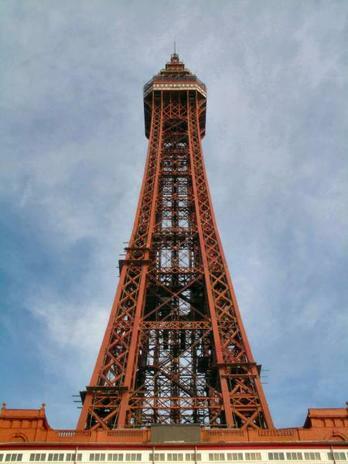 A fearful furore appears to have erupted on the Tory blogosphere over a decision by the party's board to return to Blackpool for its 2007 conference. My days of attending party conferences are thankfully over, but I have to say I have a bit of a soft spot for what the Daily Telegraph's diarist calls the "tatty old Lancashire resort." On my first visit there, in 1995, I stayed in a pub called The Empress. The room was a bit basic, but it stayed open till about 3am in the morning and served an excellent pint of Thwaites Bitter. Who could want more? Mind you, not everyone felt the same. I remember one fellow hack,who is now a political editor on a national newspaper, being rather put out to find an incontinence mattress on the bed in his B&B. I do agree with the general thrust of opinion that the Winter Gardens is an appalling venue, and it absolutely the case that however much money they spend on it, it will continue to smell of stale beer and tobacco, forever conjuring up in my mind the lost political era of "smoke-filled rooms" and "beer and sandwiches at No 10." But the Imperial Hotel, by contrast, is a fantastic venue - the "No 10 bar" there is easily the best drinking hole in any of the regular conference venues and I have many happy memories of long story-getting evenings spent there. I have far worse party conference memories of Brighton, which invariably became a complete security nightmare at conference time due to the need to seal-off the main road in front of the conference centre. For some reason, I also seemed to get worse hangovers in Brighton as well. But that's another story. 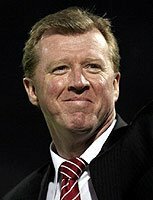 I must admit I had my doubts about Steve McLaren. He came over as a bit of a yes-man during the Eriksson era and I don't really think his "achievements" in the domestic game quite merited such a promotion, although he was very good at Derby during the Jim Smith era. Furthermore, I think the decision to appoint a new manager before, rather than after the World Cup risked all sorts of problems in the event of a poor performance by Sven's Men. So last night's 4-0 win against Greece was very refreshing to see, in particular the new sense of dynamism in the midfield area and the way Terry and Ferdinand were encouraged to bring the ball out of defence. 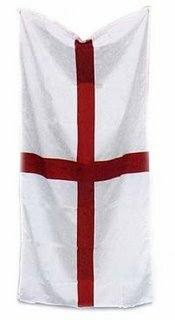 With Rooney yet to return from suspension, and the prospect of a fit-again Owen in the team, it is suddenly exciting to be an England fan again. Every Labour politician who has ever been spoken about as a potential alternative leader to Gordon Brown has eventually suffered a media backlash, and it is already clear that John Reid will be no exception. Today's piece by Stephen Glover in the Daily Mail is fairly typical of the kind of thing we can expect as the prospect of a bloody battle over the corpse of New Labour grows ever closer. "One wonders why Mr Blair's assumed heir apparent Gordon Brown, who is on paternity leave, did not think it right to return to London to restore order. Perhaps he has taken the view that, far from improving his chances of becoming the next Prime Minister, Dr Reid has, in fact, dramatically reduced them. "For the spectacle of this sinister old Marxist seizing control is enough to make most of us feel like taking to the hills. It should also persuade Labour MPs that this rather scary figure is unlikely ever to work his way into the affections of Middle England." The change of mood was also reflected in a piece on Political Betting.com which last Friday was reporting a sharp tightening of Reid's leadership odds in the wake of his performance over the terror raids. Today, however, Mike Smithson was posing the question whether some of Reid's past indiscretions might catch up with him, including an occasion on which he called the pictured Jeremy Paxman a West London Wanker. My own view on the matter has not altered since I penned last week's Saturday Column. In an ideal world, Reid would be the first choice of very few Labour MPs or party members and I do not currently expect him to beat Mr Brown in a straight contest. But if the party's poll ratings were to plummet and Reid's public approval ratings consistently topped those of the Chancellor, they might, repeat might just have to bite the bullet and elect him. Update: I somehow neglected to include this excellent post from Iain Dale depicting Roy Hattersley's likely reaction if Reid becomes Prime Minister. The Lardy one apparently told Scottish radio listeners that he would SHOOT himself if the Home Sec got the job, though sadly no link to the original story appears to exist. I've been making a few changes to the contents panel today, mainly with the aim of improving the signposting and adding some deserving new links. The biggest change is the subdivision of the "Best of the Blogosphere" category, which was becoming rather long, back into six broad political categories: Non-aligned, Conservative, Labour, Lib Dem, Anti-Blair and Anglosphere. If anyone thinks I've miscategorised them, please email me and I'll change it. * And finally, the hilarious Hitler Cats which needs no further introduction. I've also put in a permanent link to the 7/7 Bombings Inquiry Petition, in the hope of encouraging more visitors to sign it. Some fellow bloggers have suggested I dispense with Blogger and purchase myself a spanking new bespoke website as Iain Dale did earlier this year, but I must say I'm in two minds. I really like the simplicity and "cleanness" of the Blogger template, and it also seems to load on the page a damned site more quickly than some other blogs I could mention. I would welcome views on this however. Finally, thanks to everyone who continues to visit the blog and to make it worth my while. Could Hague lead the Tories again? big interview with William Hague in this weekend's Sunday Times. Hague is quoted as saying he would never, ever wish to lead the Tory Party again, saying that his period in charge gave him the "self knowledge" to realise someone else could do it better. There is something that rings true about this. In my dealings with Hague, notably when he was at the Welsh Office and I was on the South Wales Echo, I generally found him to be very straight. And that is not a sexual pun, by the way. Nevertheless, I think there's a difference between actively seeking high office, and not refusing it when it's handed to you on a plate. Or as the old saying puts it: "Some are born great, some achieve greatness, and some have greatness thrust upon them." 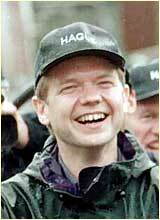 The Tories would never again entrust Hague with the task of returning them to power. But I can foresee a situation where, once in power, they might turn to him, as Foreign Secretary and the nearest thing they have to an elder statesman, to hold things together in some future, currently unforeseen crisis. Would he say no in those circumstances? I doubt it. He is a politician after all. Not surpisingly, the number of conspiracy theories about last Thursday's terror said continues to multiply on the web. Even if you don't believe in them, they certainly make entertaining reading. * Shaphan suggests the whole thing was set up by the security services to help John Reid, who he claims is their preferred candidate to succeed Blair as Prime Minister. * Craig Murray argues that the episode is designed to deflect attention from Blair and Bush's domestic troubles, and urges us all to "be very sceptical." * Guido says it's designed to lay the ground for further harsh anti-terror measures, a claim given added credence by this report in Scotland on Sunday. Meanwhile Paul Donovan takes all of us hacks to task on the Press Gazette site for our tendency to believe everything the authorities tell us. Yeah right. My verdict? Yes, there probably was a plot, and yes, it is in the nature of governments - especially this one - to exploit such situations for all they are worth. 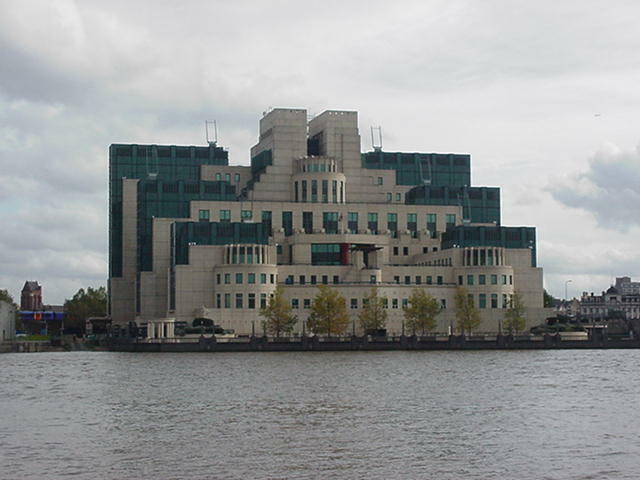 But Reid as MI5's candidate for PM? Surely not. Don't they realise he's a former Commie? Unfortunately I ran out of time on Friday afternoon to do a post on David Beckham's axeing from the England squad, but I have to say my sympathies were originally with the former skipper. Beckham may be past his best, but England's dismal World Cup campaign would have been even more catastrophic without his goals and assists, and initially it appeared he had been singled out by Steve McLaren as a "political" gesture designed to show that he is his own man. Now all becomes clear, however. McLaren has picked the great Steven Gerrard to play in Beckham's old position on the right of midfield, presumably in order to leave the central midfield area free for Frank Lampard. It was obvious during the Wodld Cup that Gerrard and Lampard were getting under eachother's feet. Now McLaren is attempting to solve the problem, with Beckham's omission the collateral damage. Greasy pole: is Reid up or down? As previously billed my newspaper columns and Podcast this weekend focused on whether Home Secretary John Reid's leadership chances have increased as a result of last week's terror raids. Interestingly, Iain Dale is taking a rather contrarian view on this, arguing that his sidelining of Prescott and apparent eagerness to assume command will be unpopular with Labour loyalists. My own view is that the chances of a Reid candidature have increased, but not necessarily the chances of a Reid premiership. "A Reid premiership remains unlikely. But what if the Labour Party’s poll ratings started to go into freefall and the public appeared increasingly bored by the prospect of Mr Brown? In that scenario, the press could start to get behind him as a tough leader capable of restoring the Government’s flagging fortunes and re-enthusing a jaded electorate. "The momentum could then build to a point where not only would Dr Reid look silly if he did not stand, but the Labour Party would look silly if it did not elect him." On a similar theme, I was suitably honoured to be asked to fill the Guest Slot on PoliticalBetting.Com today, in which I look at the role that Alan Johnson could play in the leadership shake-down. My current thinking is that Johnson may well stand for both the leadership and the deputy leadership, but with the latter as his main goal. Leaving my own punditry aside, however, the most interesting article I saw on the Labour leadership this weekend was from Oona King in the Observer. Although the main thrust of the piece was to call for a woman deputy leader - no great surprise there - the degree of venom directed at Tony Blair was astonishing coming from someone who was previously regarded as a such a loyalist. 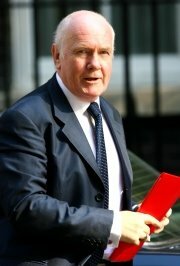 Odds are shortening on a John Reid leadership challenge after his assured response to the terror raids, says Mike Smithson on PoliticalBetting.Com. Hard to disagree, and I'll be saying a fair bit more about this in my weekend newspaper columns and podcast which, as ever, will be available here on Monday. A couple of months back, a propos of the ongoing debate over Margaret Thatcher's funeral arrangements, I put a semi light-hearted comment on this blog to the effect that the affair should be private. As in privatised, that is. 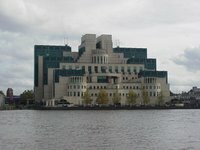 As is often the case with blogging, this post has now belatedly come to the notice of a bunch of Argentines who, under the leadership of one Carlos A. Carpanzano, last night invaded this blog to proffer their own, less than savoury suggestions on what should happen to the Iron Lady's mortal remains. How do other visitors feel about it? Should we strike back, send a task force, remove these Argie occupiers from our territory? Or is it, in the spirit of universal brotherhood that is the blogosphere, just time to let bygones be bygones? According to reports, Apprentice winner Michelle Dewberry has now been sent home on "gardening leave" by her boss Sir Alan Sugar after becoming pregnant by fellow contestant Syed. I suspect that most people's reaction to this sorry tale will be one of schadenfreude. This is Britain after all, and we love nothing better than to see ambitious young kids like Michelle put in their place. But does anyone apart from me think that, in an age when women regularly juggle motherhood and careers, Sir Alan is being a tad neanderthal about it all? When I were a lad, one of the highlights of my year around Christmas time was the BBC's Sports Personality of the Year programme, which, back in those far-off days, gave us the chance to relive all the great sporting moments of the year gone by. Sadly, it is now but a shadow of its former self, the absense of real sport on the BBC leaving the programme reliant on gimmickry, chat, and occasional off-colour remarks by the presenters. The BBC won't even show clips of the sport it still has - notably Wimbledon, football and snooker - presumably for fear of highlighting what it doesn't have. In short, the programme, and the oddly-named award itself, has become one of those great annual television non-events that we somehow still feel compelled to watch, second in this respect only to the even more meaningless Eurovision Song Contest. And yet the national press seemingly remains obsessed with the show. Over recent weeks, national sports coverage appears to have turned into a running commentary, (c) all newspapers, into whose name is on the award this year. Here's a sample from the national media following England's cricketing triumphs over Pakistan, which has propelled spinner Monty Panesar (pictured) into the status of bookies' favourite. "As the wickets fell at Headingley yesterday so too did the odds on Monty Panesar winning the 2006 BBC Sports Personality Of The Year." - The Guardian. "Confirmation of Panesar’s place in the national consciousness came with the news that William Hill, the bookmakers, had last night made Panesar their 7-2 favourite to become BBC Sports Personality of the Year." - The Times. "With so many other big names floundering across the English sports spectrum, the popular Panesar could even be bowling himself into contention to succeed Andrew Flintoff as BBC Sports Personality of the Year." Daily Mail. "With Andrew Flintoff on the sidelines, Panesar has taken over as the focus of affection for England fans. Now Panesar is one of the top five contenders to follow Flintoff as BBC Sports Personality of the Year." - The BBC. I don't want to take anything away from Panesar. He looks like the best spin bowling prospect in English cricket since Phil Tufnell and possibly even Derek Underwood. But his achievements and talent should speak for themselves without the addition of this pointless bauble. It's doubtless too much to expect the BBC to knock their wretched award on the head. But it's surely high time the rest of the media ceased their obsession with it. The Guardian's Patrick Wintour reckons Northern Ireland Secretary Peter Hain is leading the race for Labour's deputy leadership. 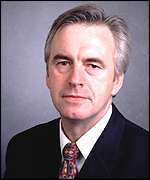 Mike Smithson on PoliticalBetting.com is a tad sceptical, repeatedly highlighting Hain's young liberal background. For my part, I reckon all speculation about the deputy leadership depends entirely on whether the two elections come off at the same time, because what happens in the deputy leadership election will inevitably be determined by what happens in the leadership election. If Gordon is the only serious candidate - McDonnell is not serious and may not even get the required number of nominations - then we may indeed see the kind of wide-ranging contest for deputy that most are anticipating. So far as I can judge - and in politics as in backgammon there is always the possibility of a late run - Labour's next leader and deputy leader are going to come from some or other combination of a dozen people. Not all will stand, of course, but the potential runners are: Gordon Brown, John Reid, Peter Hain, Jack Straw, Alan Milburn, Alan Johnson, David Miliband, Hilary Benn, John Hutton, Hazel Blears, Harriet Harman, and John Denham. The other five - Straw, Johnson, Benn, Hutton and Denham - could plausibly contest either post, but for reasons I shall explain, are more likely to end up as contenders for the deputy's job. So the first question to answer, then, is will there be an "uber-Blairite" challenge to Gordon, and if so, who will it come from? My hunch, for what it's worth, is that there will be. Brown has had to walk an incredibly difficult tightrope between outward loyalty to Blair and the desire to carve out his own agenda, and my guess is that eventually he'll fall off it. In any case, such is the nature of politics that if Gordon is thought in any way to be beatable - and there are plenty of political pundits who think he is - then there is bound to be someone out there prepared to try their luck. In my view Reid remains overwhelmingly the likeliest challenger, although Johnson might just run as the "English Candidate." 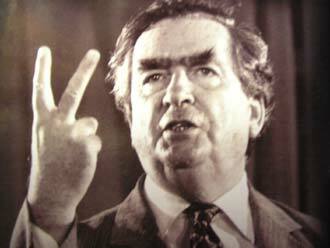 I am certain that Milburn will dip his toe in the water, but may find his support somewhat lacking among MPs. Let's for the sake of argument, then, assume it is Brown v Reid. Johnson will then be the big prize, the man with both the modernising credentials and the trade union links capable of delivering victory to either side. If Brown can land him, he will have what looks like an unbeatable combination - a running mate who, like him, can authentically claim to be both New Labour and Real Labour. Then again, this could work in Brown's favour, if Labour members as a whole decide that an obviously Blairite ticket would be incapable of uniting the party. To me, the most intriguing possiblity is that the party ignores all talk of running mates and puts together a balanced ticket itself, as it did in 1994 when neither Prescott nor Beckett were officially aligned with Blair. If so, then perhaps the most plausible potential deputy leadership contender in the frame is the one once described by the Brownites as the "when hell freezes over" candidate. Almost alone of all the potential combinations, Gordon Brown as leader and Hazel Blears as deputy would give us a balance of Brown and Blairite, Male and Female, Scottish and English, Older and Younger. Will it happen? I have no idea. But if it does - remember, you read it here first. Tom Mangold makes my day! Yesterday morning Iain Dale posted a piece on his blog criticising Panorama's latest tabloid-style documentary on the water industry. Agreeing with the general thrust of this, I posted a light-hearted comment saying "Bring back Tom Mangold!" Imagine my surprise when I logged onto my computer this morning to find an email from Mangold himself thanking me for my comments! The man is actually a journalistic hero of mine, having produced a brilliant Panorama documentary on the miscarriage of justice surrounding the Cardiff Three murder case which inspired me, as a reporter on the South Wales Echo in the early 90s, to try and do my bit to get the case reopened. 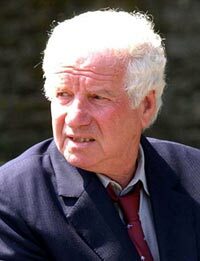 I'm not sure if my efforts had any effect at the time, but the Cardiff Three were eventually completely vindicated in 2003, when Jeffrey Ghafour - the notorious "Mr X" of numerous newspaper investigations into the crime - admitted the killing having been nailed by advances in DNA technology. I suppose that as political transvetitism goes, it would take a fair bit to top this piece of sheer audacity from Home Secretary John Reid at the weekend. I agree with him as it happens. 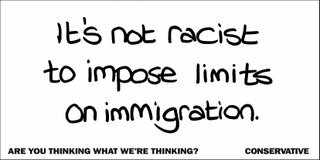 It's not racist to want to have a debate about whether immigration policies are serving the country's wider interests. But it's only 15 months since the Tories were being described as exactly that for seeking to have that debate during the general election campaign. If this is now official Labour policy, I think that the least the party can now do is apologise to Michael Howard for the unjustified slurs of April and May last year. If however it's just another piece of freelancing by Dr Reid, then I think he just kissed goodbye to any prospect of mounting an effective challenge to Gordon Brown for the leadership. However well this kind of thing might go down with the general public, the Labour electorate is a different audience. Meanwhile, more from me on the question of whether stealing other parties' political clothes really is here to stay in my newspaper columns and associated Podcast at the weekend, developing a theme explored on this blog last week. My overall verdict is that, whilst politicians may be happy to play these sorts of games, there is no great evidence of the growth of political transvestitism amongst the public at large. "If anything, the dominant trend at recent elections has not being people switching from one party to another, but switching from one party to no party. "Furthermore, it is hard to argue that New Labour’s “politics without conscience,” as William Hague once memorably termed it, has not been one of the biggest reasons why. "Turning politics into an ideology-free-zone may please the Rupert Murdochs of this world, but for millions of ordinary voters, it merely leaves them disillusioned and disenfranchised. "It seems that rather than resort to political transvestitism, we would rather be seen wearing no clothes at all." Okay, so it's a great story, all the more so at a time of year when good political stories are in very short supply. Fat old working-class fool who can't speak the language properly and mispronounces the names of foreign leaders is left to run the country for a fortnight, opening up the prospect of a whole series of disasters along the way. Or, at least, it would be a great story, if there was any truth in it. Because the truth is that, whether he is a fat old fool or not, John Prescott has never actually been left in charge of anything in Tony Blair's absense. There seems to be an assumption on the part of the people writing this stuff that Mr Blair somehow ceases to be Prime Minister when he is on holiday. That might have been the case had we still been living in the era of carrier-pigeons, or when ocean liners were the only form of foreign travel, but not in an era of modern communications and transport. Doutbless it won't stop the stories being written though, even if Mr Blair's decision to postpone his holiday means they have to be shelved for a few days. Possibly the greatest victory against NuLab control freakery since Peter Mandelson failed to be elected to the NEC in 1997! Read the full story HERE. I was however genuinely surprised by this result as, from her Loughborough Uni days onwards, Lorna Fitzsimons has always been good at getting elected to things, occasionally employing some innovative techniques in order to do so. So what was it all about, Dave? He doesn't want to make a big song and dance about it, apparently, but fellow blogger Iain Dale is today quietly celebrating his elevation to the Tories' "A-list" of Parliamentary candidates. Whether or not you agree with him, Iain is clearly a highly effective advocate for the Conservative Party and I'm sure will go on to play a significant role in national politics in years to come. But now that this glaring injustice has been righted, it is perhaps timely to ask what on earth was achieved by leaving Dale off the list in the first place, other than to make the debate over the introduction of the A-list much more rancourous than it otherwise would have been? All it did was foster a doubtless wrong impression among grassroots Tories that supporters of David Davis, or outspoken bloggers, or middle-aged men - or possibly even all three - were being victimised. Latest to feel the razor sharp pen of Guardian writer Marina "Snide" Hyde is England footballer Frank Lampard, who is publishing a new autobiography entitled "Totally Frank." And though Chelsea and West Ham fans will doubtless disagree, I have to say that never was a target more deserving. "Having failed to deliver in Germany, the honourable thing for any of these three fabulously rich gentlemen might have been to return their advance to the publishers, and to have been self-aware enough to realise that a period of silence from them would be most welcome" writes Marina, referring also to the recent autobiog from Wayne Rooney and a forthcoming one from Ashley Cole. I am not sure whether this piece by Mike White is entirely helpful to Charles Kennedy, but it does show there are other, more respectable commentators than me who think he could plausibly lead the Lib Dems again one day. Is political cross-dressing really here to stay? "The era of tribal political leadership is over," said Tony Blair in his keynote speech to the Murdoch Corporation on Sunday. Not surprisingly it has already provoked some lively debate, not least on Labour Home. I can see three very good reasons why he would say such a thing. First, because he believes it, though he is wrong about that. Second, because he would like to be able to claim that ridding the British Left of ideology is part of his precious legacy, though he is wrong about that too. But the main reason he said it was simply an attempt to guarantee Labour's future relationship with Murdoch, reassuring him that socialism really isn't going to make a comeback under his successors and that the Labour Party is now just as apt to end up to the right of the Tories as to the left. In his analysis of the Tories, and David Cameron at least, he is correct, as I have previously discussed. Where Blair falls down - not for the first time in his career - is in his understanding of the Labour Party. For of course, the two beasts are not the same. There are plenty of people out there - as any brief visit to Iain Dale will confirm - who think that David Cameron is destroying the ideological base of the Conservative Party in much the way Blair destroyed Labour's. They are wrong as it happens, because although belief in a right-wing ideology (low taxation, small government etc) is undoubtedly one of Conservatism's distinguishing characteristics, it has not, historically speaking, been the party's underlying raison d'etre. At different times in its history, the "clothes" that most would nowadays associate with the Tory Party have regularly been worn by others, notably Gladstone's liberals in the 19th century and Joe Chamberlain's imperialists in the early 20th. What the Conservative Party is really about - and this is why the Hague-IDS-Howard years were such a surprising aberration - is the pursuit and retention of power, allied to an underlying belief that, in a small-c conservative country, it is invariably the party best qualified to exercise it. This has never been true of the Labour Party, in that the pursuit of power for its own sake has never been its underlying raison d'etre. As Harold Wilson said: "The Labour Party is a moral crusade, or it is nothing." Let's face it, even Tony Blair has had to pay lip service to that, although his pre-1997 talk of governing in the interests of "the many not the few" now sound increasingly hollow. Either way, such is the degree of anger felt by many Labour members at Mr Blair's abandonment of its historic principles that it is inconceivable that, under its next leader, the party will not seek to reconnect with those roots. Whatever the Tories do, it is my belief that the Labour Party will remain the party of fairness, justice, tolerance, internationalism and all those old ideals - owing much more to Jesus than Marx - with which it has always been associated. Update: Just spotted an excellent post by Shaphan - one of the most underrated political bloggers around - which highlights another aspect of Mr Blair's attitude to ideology, namely the way he pronounces the word. In my view, his pronunciation of it to rhyme with idiocy as opposed to idealism has always been quite deliberate.